We aim to provide you with products of the highest standard to preserve and display the things that you treasure, so that they will give satisfaction and pleasure for many years to come. 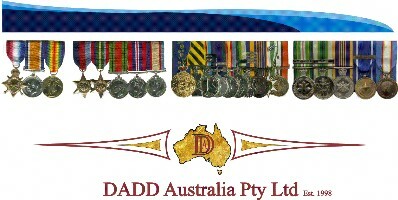 We mount medals using the standards set by Defence Honours and Awards as described in their newsletter. You can now have the option of stud bars or the traditional long pin bar. These stud bars are easier to locate for wearing. We use solid brass clasp for added security and comfort.